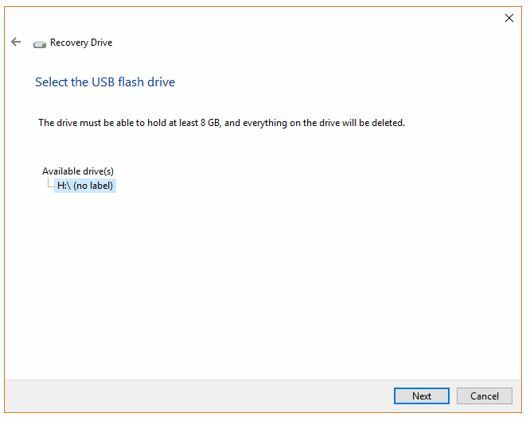 Use your USB flash drive to create a Recovery Drive for Windows 10 or 8 and save your self from any kind of future chaos. In window 7 we not have the option to create a recovery drive using the USB drives and unwillingly we have to use the CD/DVD discs but these optical disks life is short and easily can be damaged. Moreover, nowadays, most of the laptops and desktops are coming without optical drives in such case creating s system repair disc is really a headache. 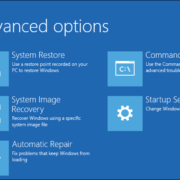 The Windows 10 Recovery drive option which is exactly the same as the Windows 8 allows users to access the Advance startup options which features different tools to diagnostics the error of the Windows OS. The user can create it easily using a USB flash drive. System Restore: Use a restore point recorded on your system PC to restore Windows. Go back to the previous build: Step down your Windows to the previous update, If something bad has happened due to Windows updates. 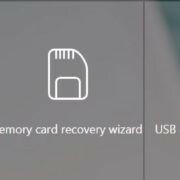 You will be happy to hear that you can create a Windows 10 or 8 recovery USB from other PC presents in your home or even one which is running on Windows 10 or 8 in friend’s home. 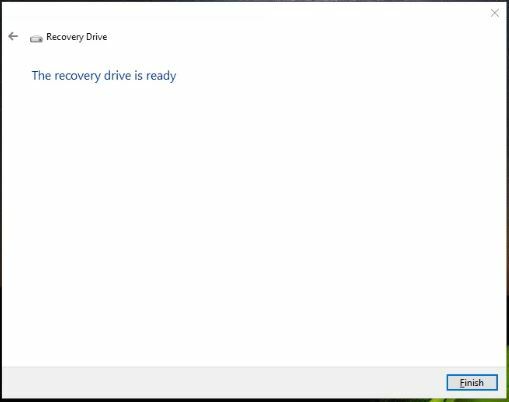 The Recovery drive can also be used in case your Windows 10 system has some booting problem. Note: If you are using the Windows 7 system then you can’t use the recovery drive instead that you have to go for the System repair disc which works same as the recovery drive. However, in the system repair disc, you have to use the CD/DVD. 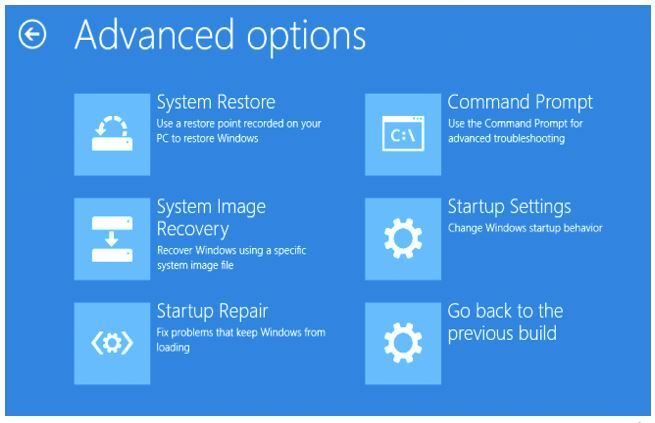 The thing to note that the System recovery option is also available in Windows 10 & 8. 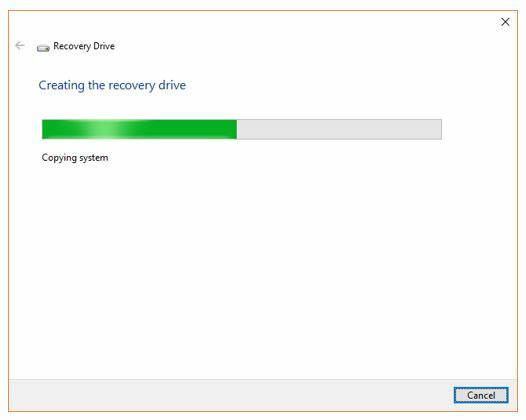 Therefore, If you don’t want to create a Recovery drive then can go for the system disc option too. 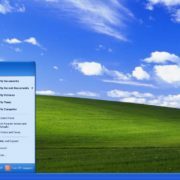 But for the Windows 7 users, they do not have other option instead of seeing this article– How to create a System Repair Disc for Window 7; which also applicable for Win 10 & 8. 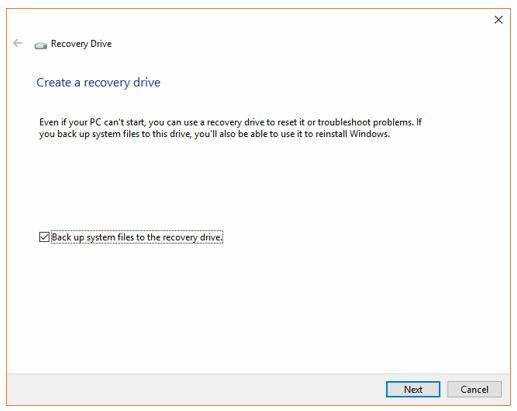 The below-given steps for creating a Windows recovery drive are the same for both Windows 10 & Windows 8. How to create a Windows 10 recovery drive? Go the Windows 10 Taskbar. On the right side of the start button, you will find the search box. Type Create a recovery drive. When a Create a recovery drive option visible click on that. A dialogue box will open and will ask you to run it as admin. Just click YES. If you are not the Admin of the system then you need to enter the admin account password. When the recovery tool opens you will see an option ‘Backup system files to the recovery drive‘, make sure to check the box given in the front of it in order to select this option. Now insert a USB drive into your system. After the above step click on the NEXT button given on the Create a recovery drive tool. The Recovery Drive Creator tool start scanning the attached external USB drives and as soon it finds that; it will appear on the tools screen. Click on the connected USB drive and then the NEXT button. Note: You can disconnect all other USB drives except the one which you want to use for creating a recovery drive this will avoid any kind of confusions. Also, the thing which should be noted before creating a recovery drive on Windows 10 that the USB drive you are going to use should be at least of 8GB in size. 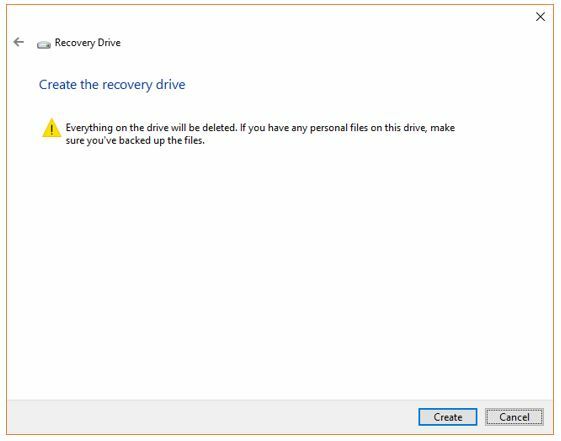 As soon as you click the NEXT button in the above step the Recovery drive tool will prompt a message that “Everything open this drive will be deleted. If you have any personal files on this drive, make sure you have backed up the files.” So, please be sure that your USB drive is empty otherwise you will lose all your data. Now Click on the NEXT button to start the process. The process of creating a Windows 10 recovery drive will start. It will take around half or one hour depending upon your System configuration. Once the process of creating recovery drive is complete click on the Finish button. In our case when the Recovery Drive creation process is complete the total size of the USB flash drive used by the recovery creating tool is 5.09 GB for Windows 10. So, in your case, it might be a bit less or more that’s why the USB drive you are going to use should be 8GB or more in size. 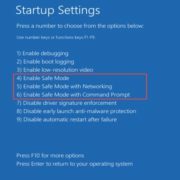 After all above process safely ejects your bootable Windows 10 recovery drive and kept it some secure place from where you easily get it in the future. Because you are not going use it on daily basis and might be misplaced or lost.